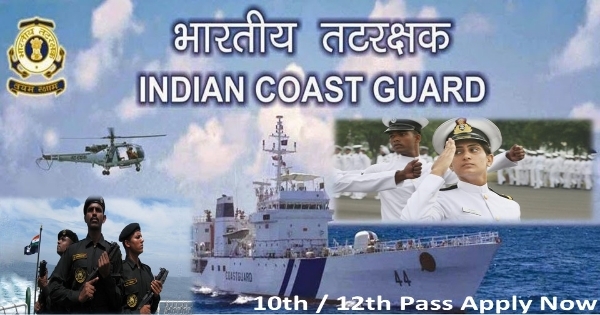 Indian Coast Guard Recruitment 2018 : Apply Online for one Assistant Commandant vacancy in Indian Coast Guard recruitment 2018 Across India. New recruitment Jobs 2018 notification published for the post-Yantrik in Indian Coast Guard recruitment 2018 read complete details before applying. Vacancies in Indian Coast Guard for the post-Motor Transport Driver. Minimum & Maximum age limit is 18 to 22 years born between 01 Aug 1996 to 31 Jul 2000. Selection will be based on Short-listing criteria will be based on higher percentage, written test, Physical Fitness Test (PFT) and initial Medical Examination. Interested candidate may apply Online through the website http://www.joinindiancoastguard.gov.in from 12.01.2018 to 19.01.2018 till 17.00 hrs thereafter link will be disabled.